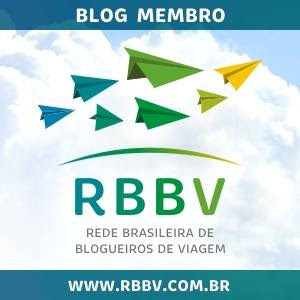 Bem Viajada Blog. Photo by Sebastian Manske. Sweden is one of the most fascinating countries in the world: it is known for its history - who has never heard of the Vikings? - as well as its modernity, especially in terms of design and life quality, which is far ahead of several other countries. In May this year I had the joy of traveling to the capital, Stockholm, and spending 1 day in the city. Luckily the weather was unusually warm for the time of the year: around 20 degrees Celsius, which for Sweden is summer. Speaking of which, one of the most curious facts is that because it is a northern European country, Sweden has very different summers and winters: in winter it is possible to enjoy the light of day for only a few hours, in summer the sun does not set below the horizon, that is, the sun is still shining at night. Because of that I highly recommend that if you are traveling to Sweden, travel there during summer. Stockholm is also a unique city, since it was built on several islands. Maybe that's why it has this perfect combination of nature and the practicality of a capital. 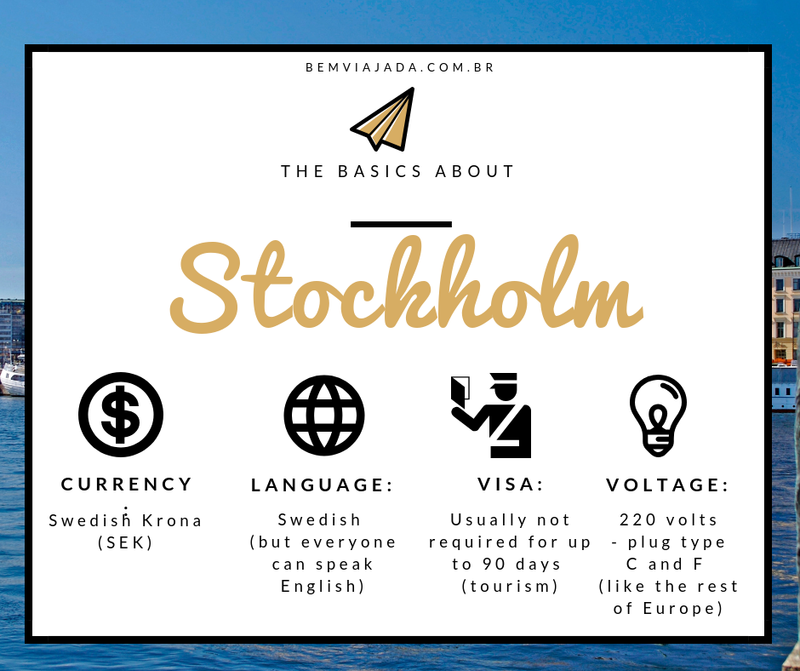 If you have the opportunity to visit Stockholm, be sure to read the list below and include the tips in your itinerary. The old town of Stockholm called "Gamla Stan" is the most unmissable spot in Stockholm. The buildings and streets of the thirteenth century show medieval Stockholm, while the various cafes and restaurants give a more hipster and relaxed flair to the place. At Gamla Stan there is also the Nobel Museum, which shows the history of the prestigious Nobel Prize and the contributions of each winner to the world. In a podcast about Sweden I also heard that some nominees / Nobel laureates gather at one of Gamla Stan's restaurants every Thursday for dinner. Is it true? If it is true I don't know, but I know that the museum can be visited daily - with the exception of Mondays - for about US$ 13. After the Nobel Museum, also tour the Royal Palace, another gem of Stockholm in the Gamla Stan area. 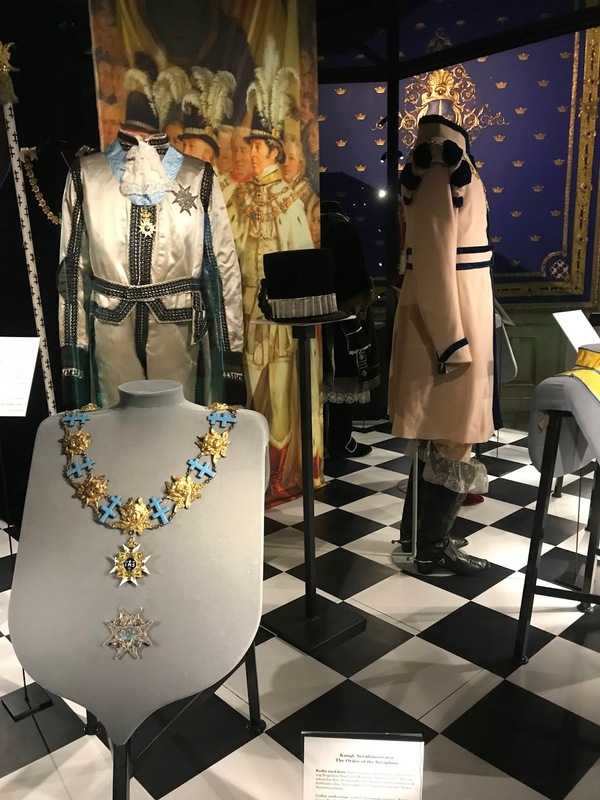 The palace is a great place to learn more about the history of Stockholm and the Swedish royal family. The entrance costs about US$ 15 and you can visit some royal apartments and a museum with the crown jewels. The jewels are awesome! Bem Viajada Blog. Photo by Milena Beledelli. After visiting the Palace and the Nobel Museum, do as the locals do: take a break for Fika. Fika is kind of an afternoon snack with coffee and sweets or savory food. It isn't difficult to find small restaurants offering a tasty Fika in Gamla Stan. You can also visit the Stockholm Cathedral and after that I recommend a boat trip that goes from Gamla Stan to the island of Djurgården - remember that I wrote that Stockholm was built on several islands? -. The boat is a good option since taxi in town is super expensive. Djurgården is one of the most well-liked places in Stockholm. The island has museums, an amusement park and a garden where many meet with the family for a picnic in the summer months. Djurgården's two main attractions are the Vasa Museum and the Skansen Museum. The Vasa Museum is one of the most visited places by tourists and has a very interesting attraction: the ship Vasa, the only seventeenth-century ship rescued almost intact after having sunk on its maiden voyage in 1628. The museum not only shows the ship itself but also its history and the reasons why it may have sunk. Another interesting factor is that the ship is well preserved thanks to high quality of the water in Stockholm which is clean and can be drunk without problems. Entry to the Vasa Museum costs US$ 15. Due to the short time I stayed in Stockholm, unfortunately I could not visit the Skansen Museum. 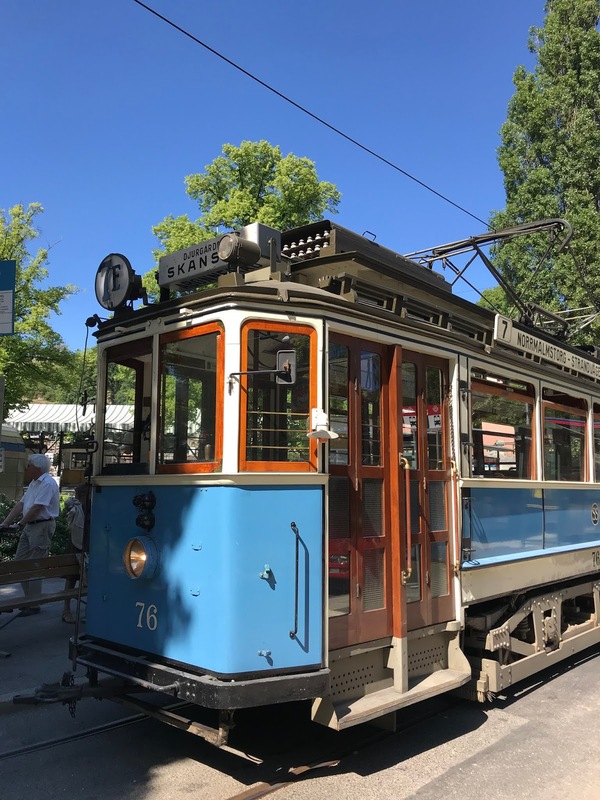 Skansen is also one of Stockholm's most visited museums and the world's first open-air museum. In the museum you can see several houses in the Swedish architectural style as well as Nordic animals. If you like music, another museum on the island of Djurgården is the Abba Museum. That's right, the Abba band's museum! It is certainly worth it for those who are fans of this Swedish band that recently returned to be mainstream thanks to the musical "Mamma Mia". 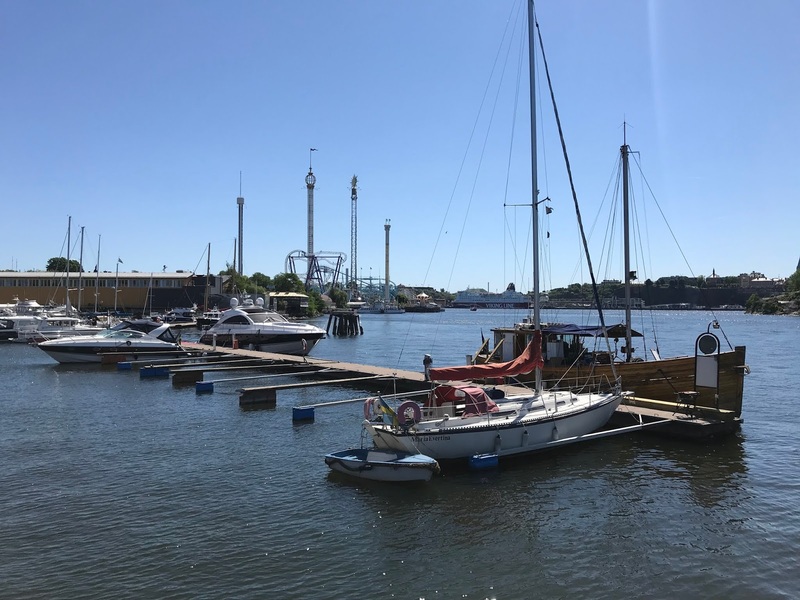 After Djurgården, take another boat and go to the island of Kungsholmen. On the island of Kungsholmen lies the Stockholm City Hall, which is so beautiful that it became a tourist attraction. The City Hall was built with red bricks and beside the water, which leaves it with an even more beautiful air. 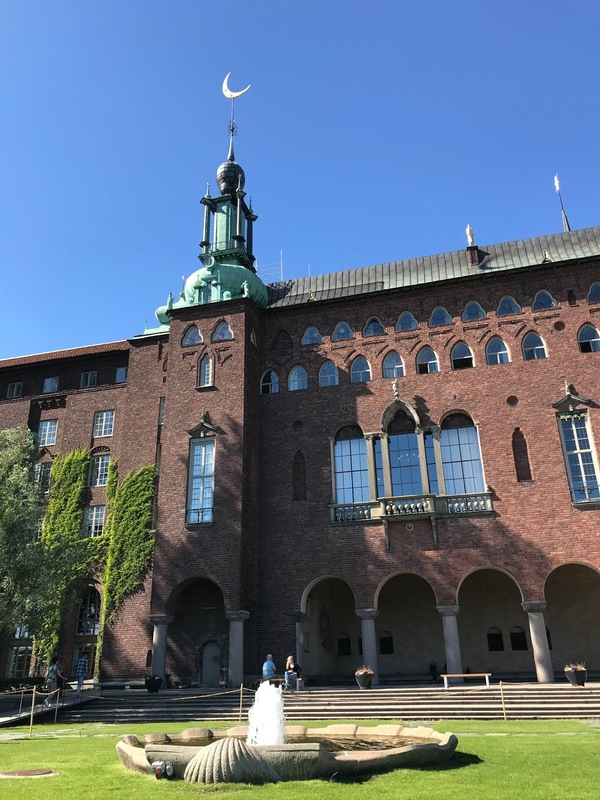 A curiosity about the city hall is that it is also holds the annual banquet of the Nobel Prize. To end the day in the best way possible, head to the Norrmalm area. Normalm is close to Gamla Stan and is an area covered by shops and hotels in Stockholm. Nothing better than to end your visit to the city with a drink at the Stockholm Icebar. The entrance to the ice bar is not cheap: it costs around US$ 25. The entry ticket comes with a cocktail of your choice. Although not the cheapest place in Stockholm - in fact Stockholm is not known as a cheap place - it pays off to see the incredible furniture and objects all made of ice. You also get special clothes with gloves to drink your cocktail in the glass made of ice without any problem. Stockholm is a city that can be visited for several days and yet something new can always be discovered. If you can, plan your trip to stay at least 2 days there before going to your next destination.